In addition to personal fitness training, Prime of Life Fitness offers a variety of fitness presentations, classes and workshops for corporations, civic groups and church groups. Now you can bring valuable fitness and wellness information to your church or community group or your employees with presentations and classes custom-tailored to meet your needs. Single-session presentations are often available at no charge, and can be tailored to your group's specific needs and time restrictions. 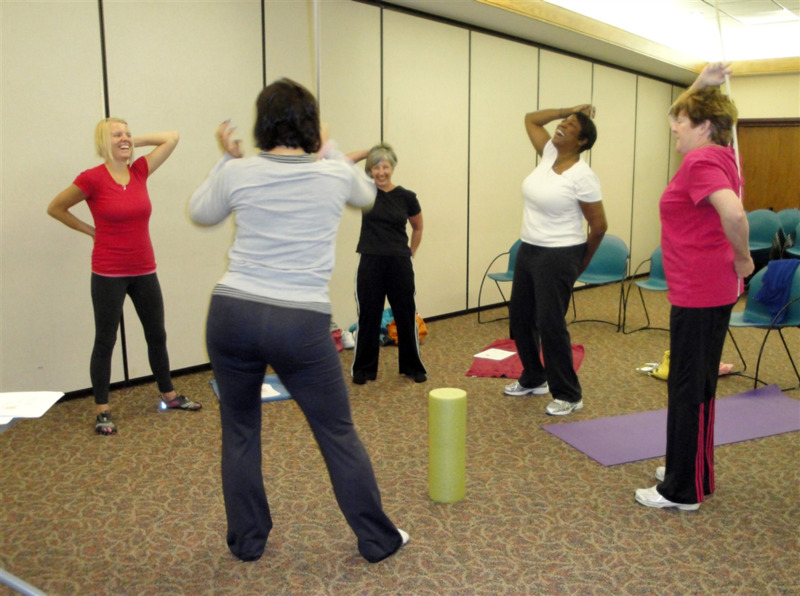 Workshops and classes are hands-on, interactive experiences that get participants involved and moving. Workshops range between two to four hours and provide an introduction to the topic. Classes offer more opportunity to practice new skills and typically last 30-60 minutes for six to twelve sessions, depending on your needs. For pricing and scheduling and to learn more about tailoring sessions for your group's needs, contact LeeAnn at Prime of Life Fitness, 720-295-0150. 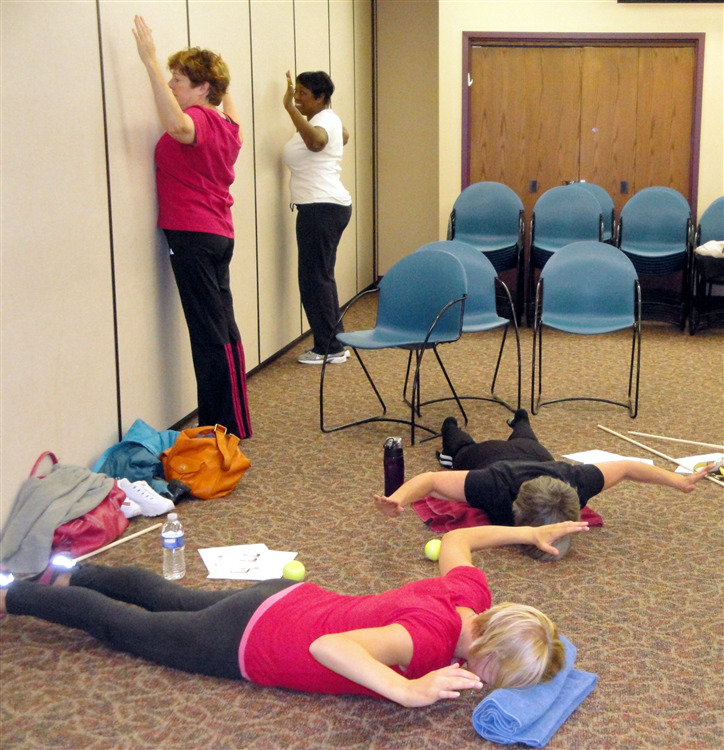 "Appropriate exercises that everyone can do--that really work." "Great reminder of what I should be doing every day! You have motivated me to start again!" "It reinforces all the things we know about but still don't do." "Excellent information. Total feel-good afterwards." Scapular stabilization exercises, with modifications. Learning how to develop a neutral spine. 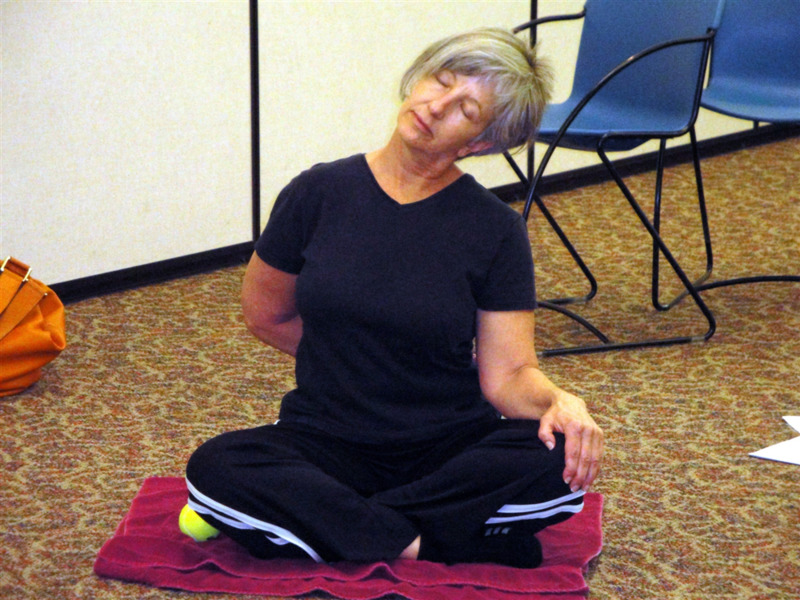 A trapezius stretch leads to a zen moment. Learning to release the pecs to open up through the shoulders. Simple tools, like tennis balls, can improve your posture if you know how to use them! The ladies show off their best red carpet poses.